The Childhood Bond ring measures about 4.5mm at the top center. 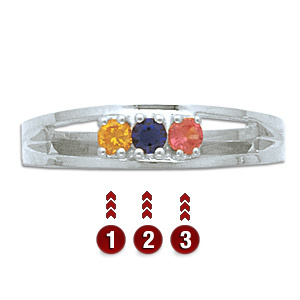 This ring accepts 1-6 stones that are 2.50mm round. trying to coordinate shipping so i would be home to sign for the item.